Holidays offer a perfect time to spend some quality time with your family and friends and provide a time to relax away from the worries of the hectic life. To fulfill this purpose, you need to find an ideal location which offers all sorts of fun and entertainment to all the members of the family. If you are in a dilemma of selecting a location, then Tenby is the one of the best destinations you can select for your holidays. This amazing walled city is located in the southern regions of Wales and is the home to beautifully designed buildings. Surrounded by the sandy bays, this prime tourist place is situated on the coasts of Pembrokeshire at a distance of 80 km from west Swansea. It is considered as one of the best locations to spend your holidays. The wide spread railway system is considered as the best medium for getting to this place. Local railways connect it adequately to the nearby places of Cardiff, Swansea and Pembroke Dock. There are limited trains to this region in the weekends of summer season but you can board a train from the nearby region to reach your destination. Bus is also an alternative to reach Tenby. There are a number of attractions to explore in this region for the vacationers. 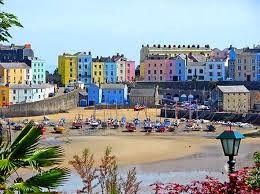 Here are some of the best places to visit in Tenby in order to make your holiday fun filled and terrific. The narrow streets of Tenby are surely worth exploring. These streets are packed with numerous restaurants, quaint shops and cafes that can add an ingredient of excitement to your holidays. 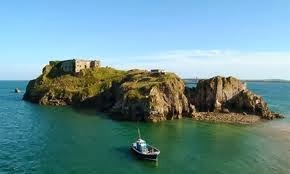 It is an incredible island, which possess the pleasure of Cistercian Monastery, located just beside the Tenby coast. You can take a ferry tour from Tenby Castle Beach in a low tide and from the Tenby Harbor in the event of high tide to explore the untouched treasures of this island. This museum and art gallery showcases the exhibits of the history which comprises of the ancient artifacts and some masterpieces from the famous artists of this region. You can find a wide range of hotels in Tenby which provide the vacationers a comfortable stay. 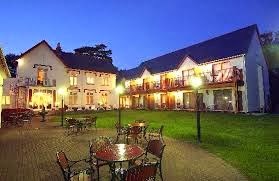 The best ones comprise of Fourcroft Hotel, Castle View Hotel, Heywood Mount Hotel, Clarence House Hotel, St Teresa's Old convent Guesthouse and Driftwood Tenby.